NORWAY’S JAILED MASS killer Anders Behring Breivik has had his application to study political science at the University of Oslo rejected, the institution said today. 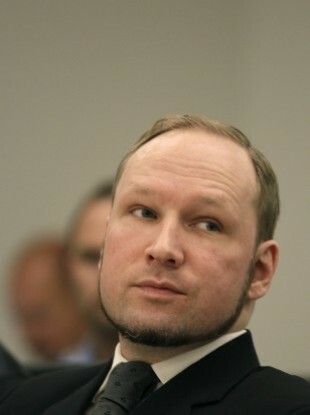 Breivik, a rightwing extremist who is serving a 21-year prison term for killing 77 people, published a 1,500-page manifesto moments before his 2011 murderous spree. The 34-year-old killer’s application had reportedly caused concern among faculty staff, with some refusing to teach him. But the university said he lacked the qualifications to take the course. “The conclusion is that he isn’t considered sufficiently qualified to start a course in political science,” the rector of the university, Ole Petter Ottersen, told AFP. On July 22, 2011, Breivik killed 77 people, mostly youths, by planting a bomb outside Oslo’s main government building and later opening fire on the Labour Party’s youth camp on the island of Utoeya. In his lengthy thesis-like manifesto quoting hundreds of authors and academics, Breivik denounced multiculturalism as Europe’s doom and calls for a crusade “to repel… an ongoing Islamic invasion”. Security regulations meant he would have been banned from entering campus and would have had to take the course as a distance-learning student. Norwegian university admissions are based on students’ final results from secondary school and the minimum score requirements change from one year to another. Breivik never completed his secondary education but his lawyer, Vibeke Hein Baera, said he had been studying in prison to meet the necessary criteria for higher education. “He’s collecting points to study at university. He studied mathematics this summer and will certainly study other material to reach the required level,” Hein Baera told AFP. Email “Oslo university snubs killer Breivik's application to study”. Feedback on “Oslo university snubs killer Breivik's application to study”.